Vanderbilt lists “sexual orientation” and “gender identity” in its equal opportunity and affirmative action statement. The Equal Opportunity, Affirmative Action, and Disability Services Department (EAD) are responsible for investigating and resolving complaints of discrimination, harassment, and related retaliation within Vanderbilt University, whether the complaints originate internally or externally. Vanderbilt has opted into both Navitus’ requirements and benefits regarding hormone therapy, and Aetna’s clinical policy regarding Gender Reassignment Surgery. Employees are still subject to requirements outlined by Navitus and/or Aetna for eligibility. VUMC has been recognized as a leader in LGBT healthcare equality by the Human Rights Campaign (HRC) Healthcare Equality Index (HEI). VUMC is one of only four hospitals in Tennessee with such a distinction. The Program for LGBTQ Health within the Office for Diversity in Medical education provides training at the School of Medicine, School of Nursing and numerous departments in relation to LGBTQ medical concerns. The program also coordinates the Trans Buddy Program and referrals to LGBTQ competent providers, as well as VUMC’s Transgender Health Clinic. 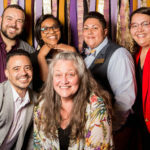 Talk it out: to get connected to LGBTQI faculty/staff already working at Vanderbilt, email Chris Purcell, Director of LGBTQI Life, who can try to connect you to an out employee already here at Vanderbilt. Join our monthly newsletter to get relevant updates from the Office of LGBTQI Life. LGBTQI speakers, films, and events that are open to faculty/staff are featured regularly. Visit our Nashville Resources page to learn about LGBTQI resources in the Music City. Social, professional, support, and activist opportunities are featured. A guide from the Vanderbilt Center for Teaching on including issues of gender identity into the classroom, as well as how to set up affirming classroom environments for all students. Speak OUT, LGBTQI Life’s Speakers Bureau is an initiative that seeks to create dialogue within the Vanderbilt community about issues of sexual orientation, gender identity, and gender expression. 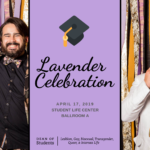 Panelists of students share their personal stories about being LGBTQI or allied during presentations to classes, residence hall communities, campus organizations, university departments, or any other campus spaces and engage in active conversations with audiences about their identities and experiences. To bring a Speak OUT panel to your class, residence hall, organization, or department, please visit our website to fill out the Speak OUT request form. Straight Facts is a dynamic and flexible program that allows the initiator to custom-fit their needs to the needs of your audience. This is a great hour to hour and a half program to bring to a class, residence hall, or student organization to learn more about the LGBTQI community and gender & sexuality. To bring a Straight Facts about LGBTQI Life presentation to your class, residence hall, organization, or department, please visit our website to fill out the Straight Facts about LGBTQI Life request form. The P.R.I.D.E. 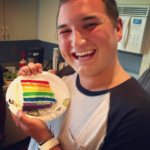 (Pursuing Respect, Inclusion, Diversity, and Equity) program aims to create a visible network of support for lesbian, gay, bisexual, transgender, queer, and intersex (LGBTQI) individuals and their allies by providing an avenue through which any member of the Vanderbilt Community can show their support. The training is 3 hours and happens 2-3 times per semester. PRIDE is a program for those who are actively willing to be allies, and therefore shouldn’t be seen as compulsory. Sign up here.